Former NFL star Peyton Manning will join Kobe Bryant's show "Detail" as the program expands into NFL analysis this fall. Bryant, who won an Academy Award for his animated short film "Dear Basketball," breaks down the NBA for the show -- which appears on ESPN+. He will return later in the 2018-19 season for a second series of shows. 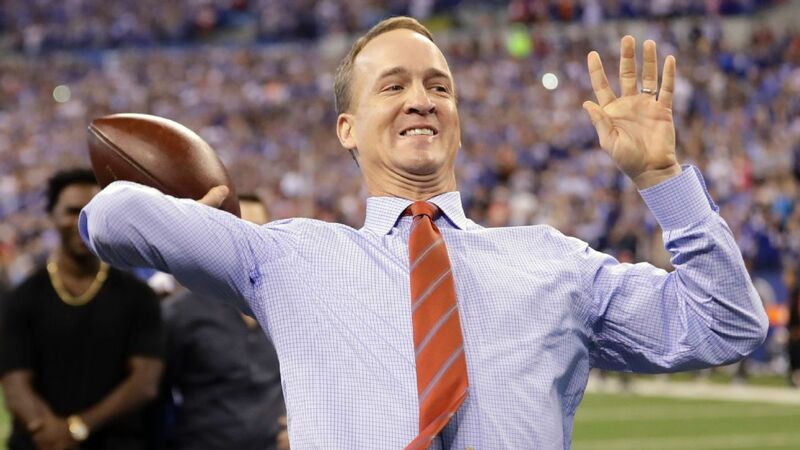 Manning will host, write and share insights for the football version of "Detail," which will be edited by NFL Films. The eight-episode series will also appear exclusively on ESPN+. "I've always enjoyed talking football with coaches, players and passionate fans, and that's at the core of this show," Manning said in a statement. "I'm honored to help expand Kobe's Detail to a football audience." The first episode will air Thursday and will break down Cardinals quarterback Josh Rosen's game against the Vikings on Oct. 14. In addition to covering the NFL, "Detail" will also unveil a UFC edition in the future. "The concept behind Detail is centered around helping athletes get better, so it made perfect sense to expand the show to other sports," said Bryant, founder of Granity Studios and executive producer of "Detail." "Peyton was my first call to be the NFL athlete due to his unrelenting preparation and study of his craft. The next generation of football players will learn first-hand how one of the greatest players of all time objectively breaks down a game. It's the ultimate film session for anyone who wants to learn and improve." Manning is a five-time NFL MVP who retired in 2016 after winning the Super Bowl with the Broncos.